Whether you require extra living space or separate living quarters for a growing family, or would like to capitalise on potential views, a well-designed double storey addition can revitalise and add considerable value to your home. 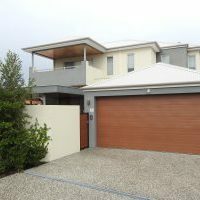 R U Developments is an industry leader in second storey home additions in Perth. We create bespoke second storey additions at competitive prices all throughout the Perth metropolitan area. R U Developments can design and build a beautiful customised second storey addition to your home that maximises natural heating and lighting and is complementary to the existing ground floor architecture, building fabric and colour palette. Our team will ensure that the second storey addition is designed and completed to suit your needs, budget and timeframe. Speak to us today to discuss how R U Developments can transform your home with a second storey addition.